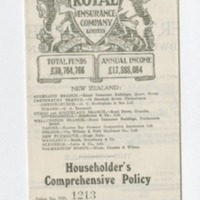 A notice of the Royal Society of New Zealand's "Matter and Life" lecture series held at Canterbury University College. Popper's "Mechanism and Vitalism" was scheduled to be the final lecture. 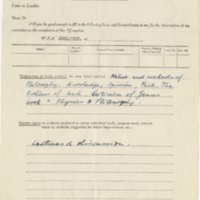 An undated tutor's session report filled out and signed by Popper for his course "Philosophy". 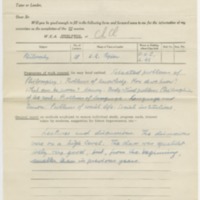 An undated tutor's session report filled out and signed by Popper. 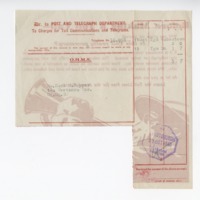 A telegraph receipt for the payment of 5s 7d, paid by Karl Pooper. A formal offer from George and Edith Roth to purchase the Poppers' house, which is in Hennie's name. 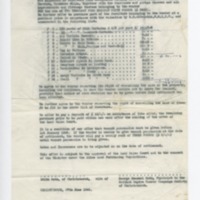 A notice from Edward Lumley & Sons Ltd, saying that the insurance policy on the Poppers' house needed renewing. The policy was under Hennie's name. Included is a receipt for a cheque to the same company and the insurance cover. 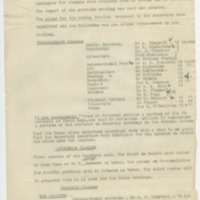 Official insurance papers for Poppers' house under Karl's names, Included are a contingency schedule and receipts of payments. 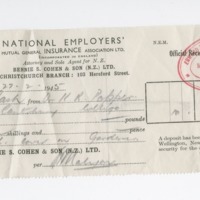 A receipt for 10s paid to the Bennie S. Cohen & Sons by Karl Popper. 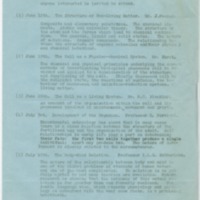 The report of the meeting of the W.E.A. 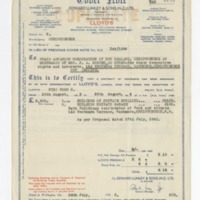 executive held on Wednesday 22 February 1939. 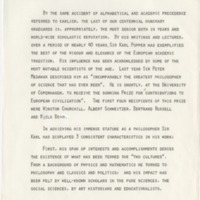 Popper's philosophy classes was recommended by the meeting as one of the proposed Christchurch classess to be offerred in 1939.